As I sit here and reflect on 2013, I cannot believe how much I accomplished in terms of my running. I tracked my miles using 2 apps and here are the totals: 240 with Runkeeper and 192.73 with Nike+. 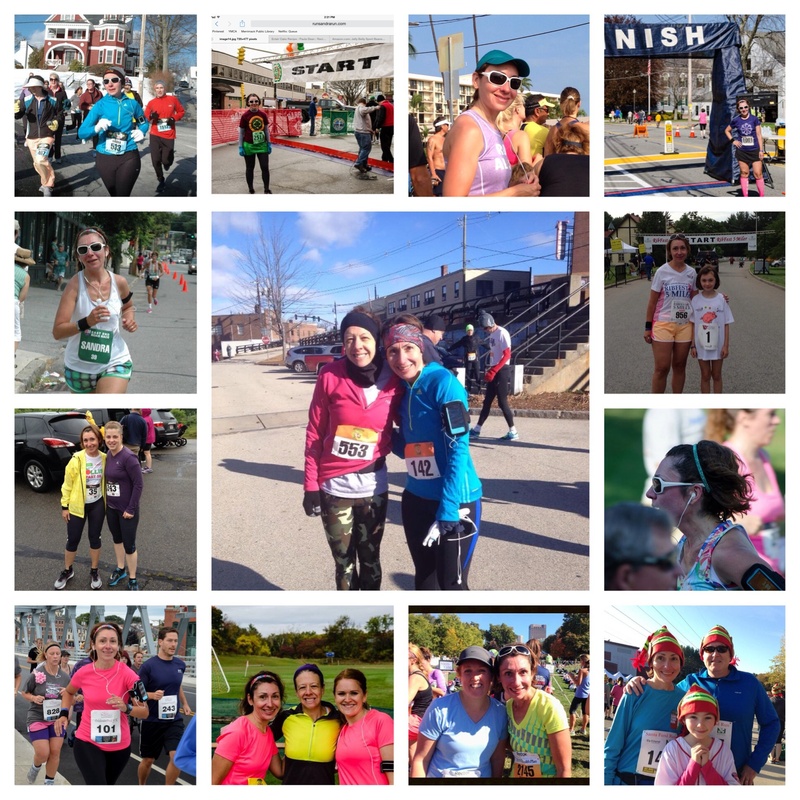 I set a goal of 13 races in 2013 and accomplished just that! I ran 6- 5Ks, 1-3.5mile, 2- 10Ks, 3- 5mile, and 1- 1/2 marathon relay race. My longest distance was 8.31 miles on 9/21/13 and my fastest average pace was 8:01/miles on 11/23/13. I used only 1 pair of shoes – Saucony Cortana and had no real injuries to speak of. My hip flexors and my right IT band bother me off and on but nothing that would stop me. I performed much better in the cooler temperatures and did not mind the bone chilling below freezing temps I faced, both during training runs and races. I preferred to run outdoors over the treadmill, but very late in the year, was able to find my groove on the treadmill and can now run 6 miles without stopping. [I was only running 1 mile and then stopping getting a drink before continuing.] Running on the small indoor track proved to be a challenge both because of the number of laps required to make 1 mile,but also the same direction required on my training days caused me pain in my hip flexors and left knee. My running community expanded and I am grateful to have many supporters out there, some of which have run races with me. My husband was my biggest cheerleader and was there, ready with his camera [when he is not running with me] for all but one of my races! Here is a quick glimpse of all of my races.